While introducing Copenhagen’s Indians, the emcee mentioned that this year’s Hillside was the coolest one ever. he was speaking, of course, of the temperature, but he could have also meant it in the other sense of the word, as there was a lot of cool stuff going on over the weekend. 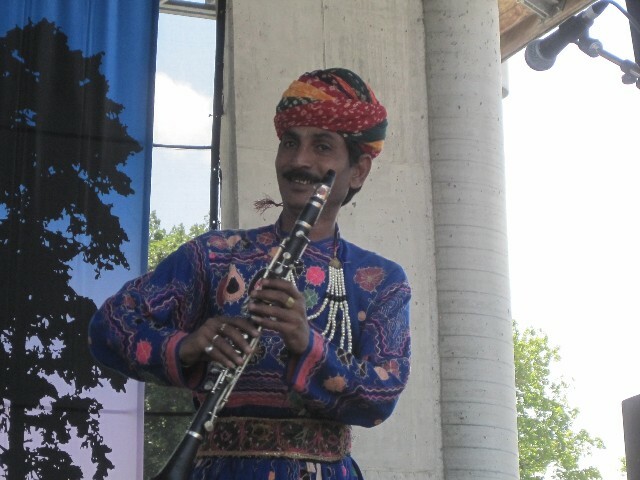 One of the most enjoyable performances I saw at Hillside was also the first thing I saw on Sunday, a noontime performance by India’s Jaipur Kawa Brass Band. The band put on an immensely entertaining set of traditional folk, Indian classical and Bollywood music, all played on brass instruments and also including a female dancer for one song and a performance from one fellow who juggled knives, swallowed swords, and balanced a spinning top on top of his head amongst other tricks. It was pretty much the perfect way to start off a Sunday afternoon and boded well for the rest of the day. After checking out the Mumfords-y folk rock of The Dunwells and a set of classic sounding country from the always entertaining Daniel Romano & The Trilliums, it was time to finally see what Colin Stetson was all about. I had heard the saxophonist’s music before, but hadn’t spent that much time with it and had yet to see him live. After finally seeing him perform, I have to say I was impressed. I noticed a few people in the crowd closing their eyes and just listening during his set and while there’s something to be said for that, if you don’t actually see him play with your own eyes, then you’re missing out on a good part of the fun of watching him play. What Stetson does both sonically and physically during the course of his set is absolutely impressive. If one can be said to “shred” on the sax, then Stetson totally shreds. 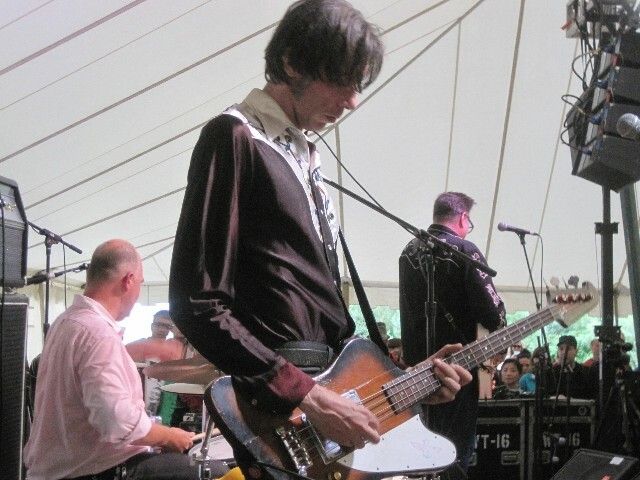 Because of the short turnaround time between bands and the amount of acts playing the festival, there’s not a lot of time for soundchecking beforehand and so it has to be done on the go. However, other than a lengthy delay on Eight And A Half’s set the day before, there was little in the way of snafus over the weekend and besides that, watching the performers’ soundchecks was often rather illuminating. For example, did you know that Sarah Neufeld not only mics her foot stomps but also asks for lots of reverb on her foot? Just thought you should know, folks. 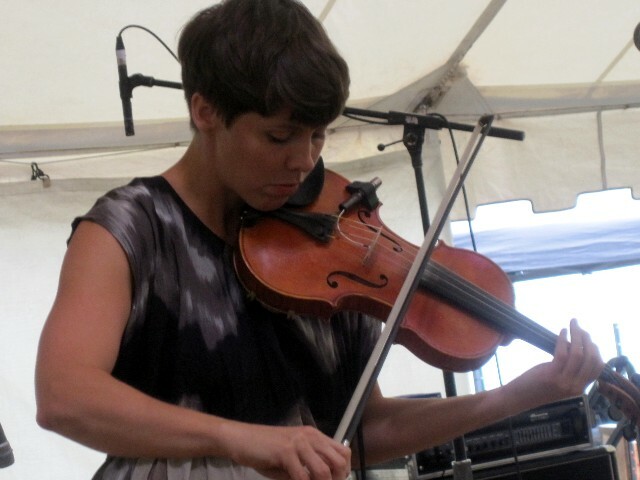 During her set, the Arcade Fire/Bell Orchestre violinist was joined by both Colin Stetson and her bandmate Richard Reed Parry, who had played a set on the same stage earlier that day.